1. 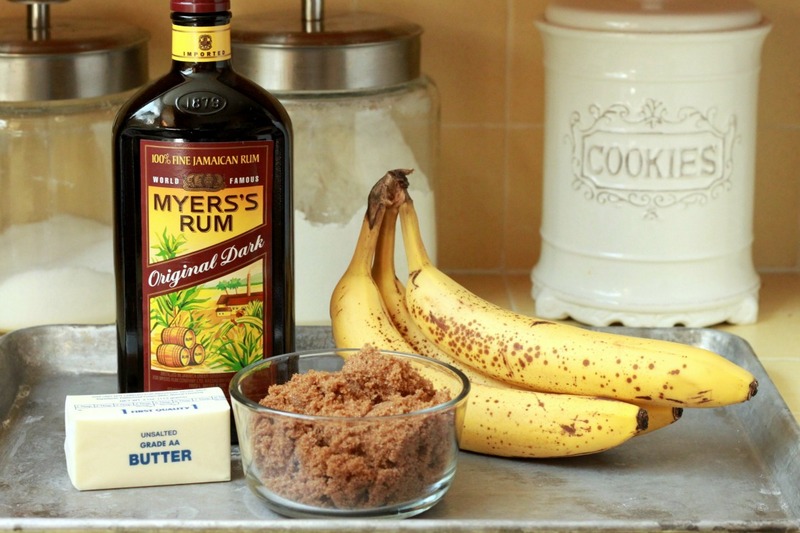 It contains the holy trinity of The Baking B's*--Bananas, Butter and Booze. 2. If you put the word "coffee" in front of "cake", then said cake becomes perfectly acceptable for breakfast. 3. Taking into consideration the aforementioned items, you now have a totally legit reason to have liquor first thing in the morning. You're welcome. When I was getting everything together for this recipe, determined to get the idea out of my head and into the oven, I couldn't help but wonder what the heck took me so long. I mean, hello--it's basically Bananas Foster, but in cake form. It all starts out with the sort of luscious, rummy caramel you'd expect from the classic ice cream dessert, with big hunks of banana thrown in, sauteed until tender. If you can get past this step and not put the whole skillet of sticky, glistening goodness in your face, then you can add a smattering of dry ingredients and a couple eggs and turn it into cake. Seriously. 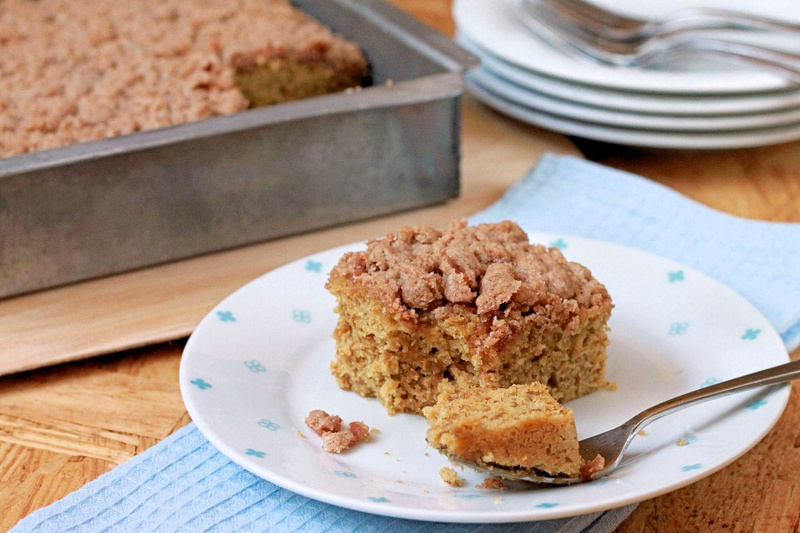 And there's streusel involved, people! 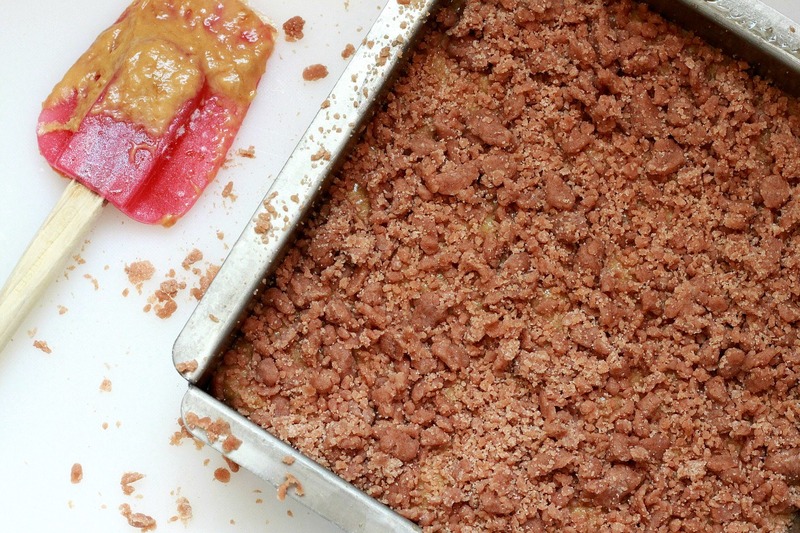 Glorious, buttery, sugary, pebbly streusel that adds another dimension of crisp, caramelized heaven to the whole thing. I mean, what have I been doing with my life up until this point? It's that level of delicious, guys--the kind of thing that leads you to ask yourself major, Oprah-esque life questions on a Sunday. But things won't get too heavy, don't worry. There's booze involved, remember? For this recipe, you want bananas that are definitely ripe, but still firm. Lightly speckled is good, but not the super dark, overripe sort you might use for banana bread--they'll turn to complete mush in the caramel. Be sure to use dark brown sugar and dark rum here for maximum flavor. I love Myers' dark rum. It's the most dreamy thing on the planet. Although totally delicious the first day, the flavor of this cake really blossoms the day after baking. In a large skillet, melt 3 tablespoons of the butter over medium-high heat. Add the dark brown sugar and stir to combine. Add the rum and cook for 1 to 2 minutes, stirring often, until slightly thickened. Add the banana chunks and cook for 3 minutes more, gently stirring and coating the bananas with the caramel as they cook. When the bananas are very tender, mash a few times with a potato masher just to break down the banana into bits--don't overmash them into a paste. Scrape the caramelized banana mixture into a medium heatproof bowl. Stir in the remaining 3 tablespoons of butter until melted. Stir in the vanilla. Let the mixture cool until its just warm to the touch. Quickly whisk in the eggs. Sift the cake flour, baking powder and salt together into a large bowl. Add the wet ingredients to the dry and fold just until combined. Scrape the batter into the prepared pan. To make the streusel, combine the flour, sugar and butter in a small bowl. Use your fingertips or a fork to blend the ingredients into a pebbly mixture (be careful not to overwork the butter if you're using your fingers, as to not melt the butter with the heat of your hands). Sprinkle the streusel evenly over the batter. Bake until a toothpick inserted in the center of the cake comes out clean, 30 to 35 minutes. Cool completely in the pan on a wire rack before cutting and serving. *I totally made this up. I don't think "The Baking B's" is even a thing.